Michael Ball is Britain’s leading musical theatre star. He's won critical and public acclaim over the last 30 years with his dynamic, award-winning lead roles in the West End and on Broadway. And, with his concurrent career as a multi-platinum recording artist, top-selling live concert performer and radio and television broadcaster, the double Olivier Award-winning Ball has been, for many years, in the enviable position of combining these individual aspects of showbusiness with continuing success. His many West End credits include originating the role of Marius (Les Misérables), Giorgio (Stephen Sondheim’s Passion), Raoul (The Phantom of the Opera), Alex (Aspects of Love, West End and Broadway), Caractacus Potts (Chitty Chitty Bang Bang), Count Fosco (Woman In White, West End and Broadway), Edna Turnblad (Hairspray, West End and on tour) for which he won the 2008 Laurence Olivier Award for Best Actor In A Musical, Sweeney Todd (Sweeney Todd: The Demon Barber of Fleet Street, Chichester and West End) and Mack (Mack and Mabel). As a hugely successful concert artist, Ball has performed many times in theatres and venues across the UK as well as Australia, the US and the Far East. 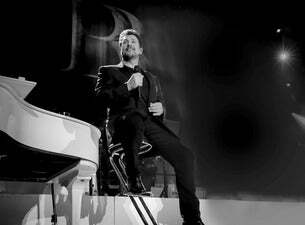 His many television shows have included Michael Ball, An Evening With Michael Ball, The Michael Ball Show and, for BBC Radio 2, Ball Over Broadway, Michael Ball’s Sunday Brunch and the 2012 six-part series, Songwriting Partnerships. Plus, as a recording artist he's released any array of material including 2014's If Everyone Was Listening and 2017's Together Again with Alfie Boe. In March 2019, he's releasing his latest solo project, Coming Home to You, and supporting it with a 21-date UK tour this spring.